House of Fraser has acquired and relaunched the Issa London brand. 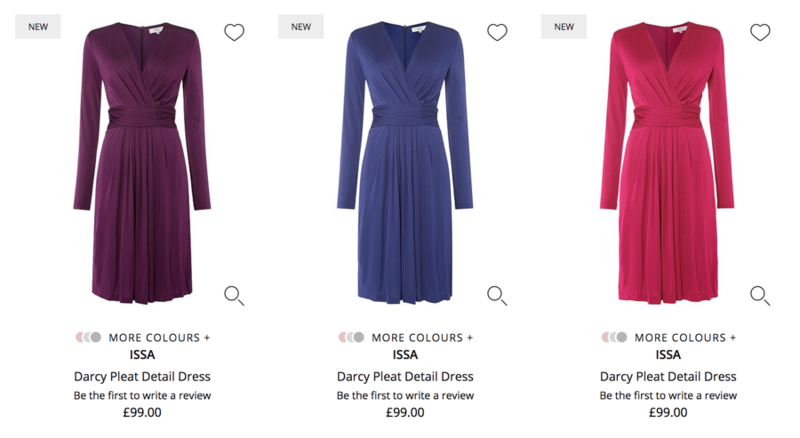 Their first collection includes a royal blue wrap dress almost identical to Kate’s for just £99! 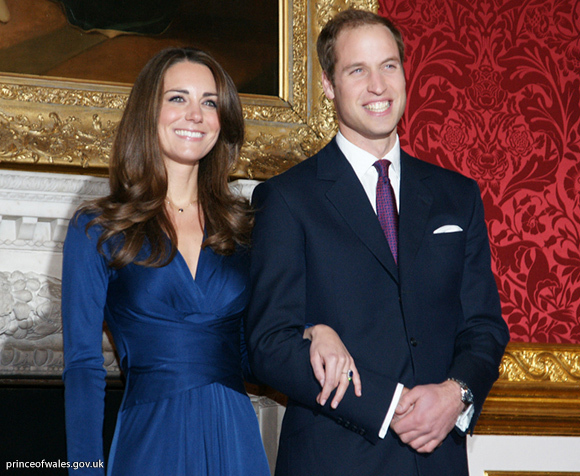 Prince William and Kate Middleton announced their engagement to the media on November 16th, 2010. For the exciting occasion, Kate chose a blue wrap dress by Issa London for the photo call at St James’s Palace. The now iconic dress quickly sold out. 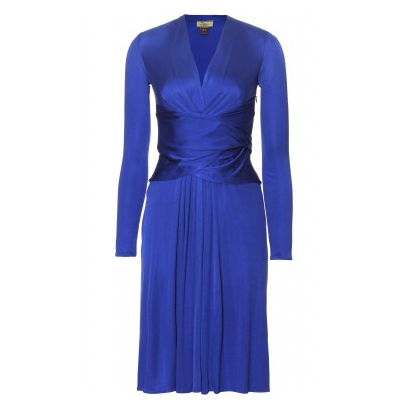 Kate’s blue Issa wrap dress is knee-length with a v-neckline and bracelet length sleeves. The dress is wrapped at the waist with a belt and the skirt falls in soft pleats. The classic Issa wrap dress in royal blue is the ultimate wardrobe staple, taking you from day to evening with ease. This ultra flattering shape with V cross front neckline and long sleeves is belted at the waist and sits just above the knee. Fabricated in the brands’ signature silk jersey. The “engagement” dress remains VERY popular today – it will be remembered fondly by royal fans for years to come. After a turbulent few years, sadly caused by the “Kate Effect”, Issa London closed its doors in 2015. After Kate wore the now famous wrap dress, Daniella Helayel, the owner of the company, claimed sales doubled. Helayel only had a small team and found it difficult to keep up with demand, plus the small company was already on the verge of a financial crisis and the bank refused to extend her credit to help scale production or pay her bills. So, she had to take an investor on board. Her friend, Camilla Al-Fayed bought a 51% stake in the company. In 2013, Helayel left the company, later telling the Daily Mail that she could no longer take the stress. Two years later, Issa London closed its doors for good. In spring 2017, British luxury department store House of Fraser acquired Issa London. They relaunched the brand exclusively in August of the same year. The first collection draws inspiration from Issa London’s archive, including a copy of that now world-famous wrap dress worn by Kate Middleton. See it here. Relive the nostalgia with this 17-minute long video of William and Kate discussing their engagement, plus you get to hear Kate speak!